Here's my fifth gift for the Twelve Days of Christmas swap. 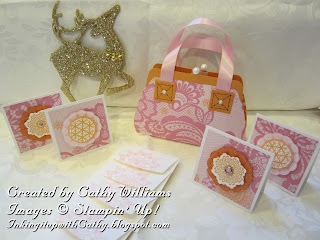 Again, the idea came from Becky Roberts who created a template for these cute little purses. The Flirtatious DSP and Delicate Doilies stamp set were perfect for this gift set.